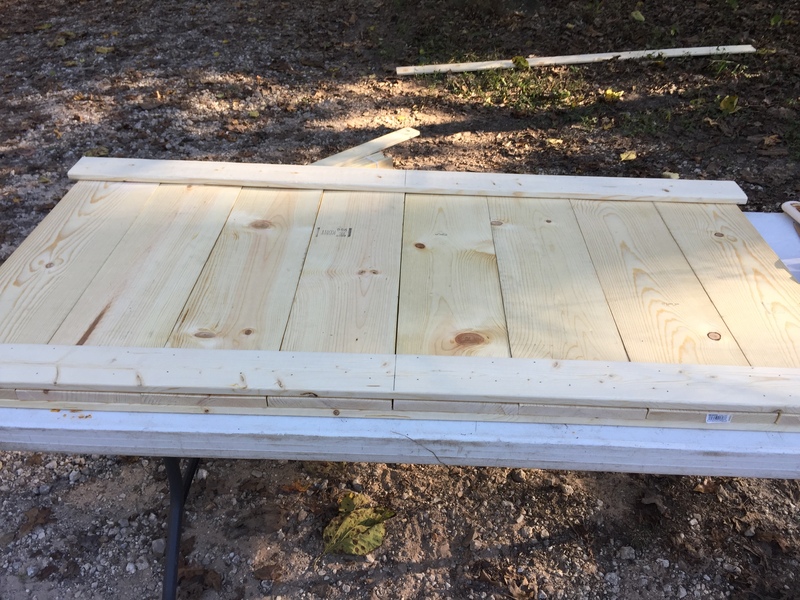 We were able to finally start working on the bed project. We spent about an hour on it. 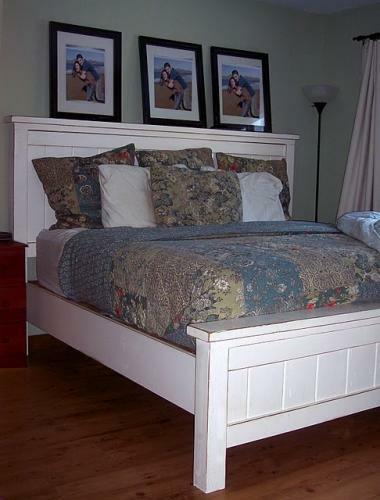 This is an example of the finished project. We spent approximately $190 on materials. I did have to purchase a new tool for this endeavor. 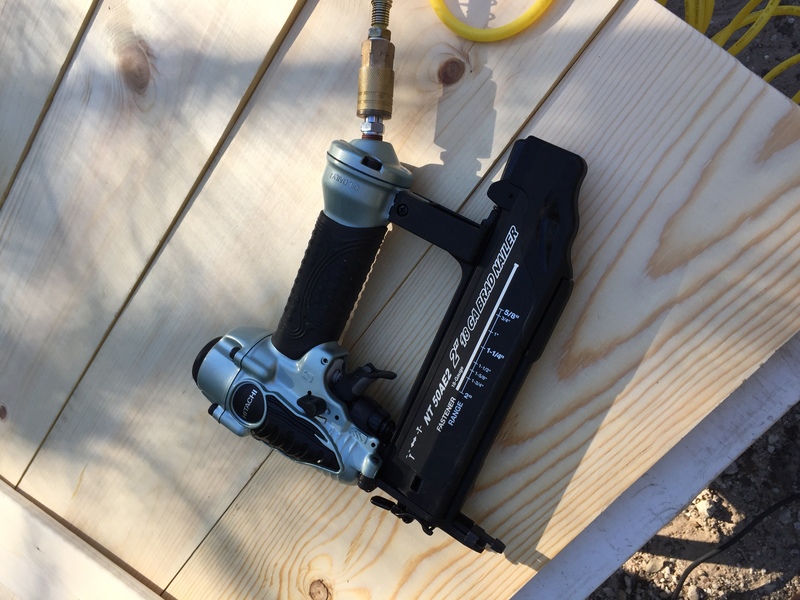 I bought a pneumatic brad nail gun for $60. Picture of the stack of lumber that was needed. First we will make the head board. 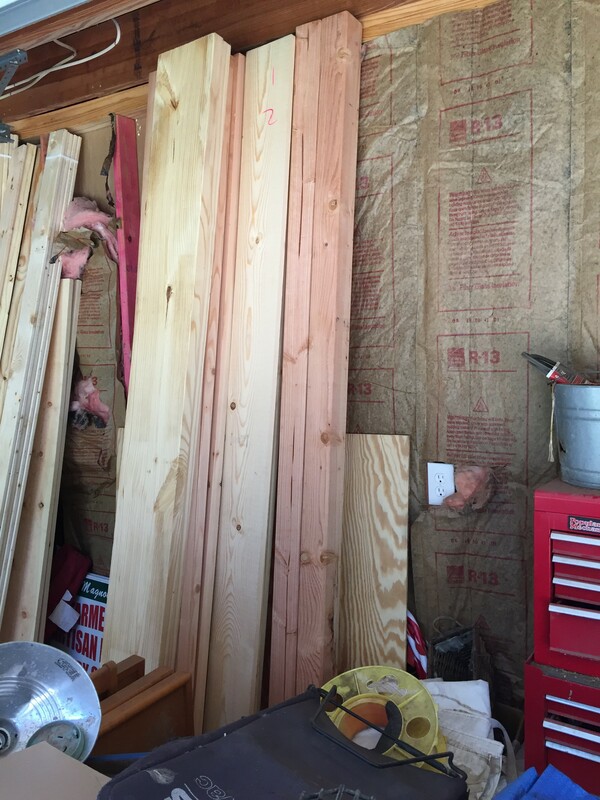 I cut the 1″ x 8″ x 8′ white pine boards into 30″ sections (eight pieces needed). I also went ahead and cut the eight, 15″ sections for the foot board. I laid out the eight, 30″ section on a table and selected which side of each that I thought looked best. 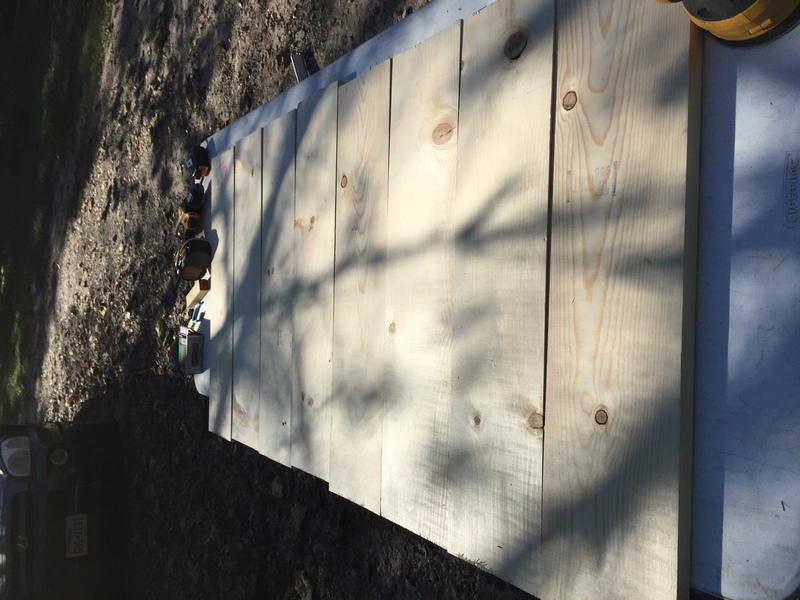 Using the brad nailer and wood glue, attach the top and bottom boards.